Theresa Marie Kurzawa Latzanich, age 87, was born in DuPont PA and raised in Scranton. She was the daughter of Anthony and Helen (Boyarski) Kurzawa, and the oldest of her family of four girls: Antoinette, Karol and Constance. Her father – a Polish Immigrant – died heroically at a young age, in a coal mining accident. 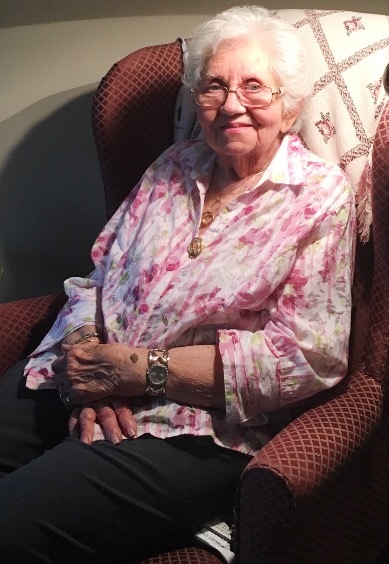 The family remained in the Scranton community with a large Polish population and Theresa learned the Polish language. They belonged to the Sacred Heart Catholic Church, on Scranton’s South Side. On a blind date Theresa was introduced to George Latzanich, from nearby Dunmore and they married in August 1952. George completed his studies at the University of Scranton and subsequently entered the Ohio College of Podiatry, in Cleveland. The couple lived there while George completed his Podiatry training and their first child, George Michael, was born in 1954. The family returned to the Scranton area where Dr. George began his podiatry practice, before they decided to relocate to suburban Philadelphia, and the newly built development of Levittown. This new modern community attracted many young families and the Baby Boom phenomenon was on full display. Dr. George operated his practice on the same property as the family home. The couple eventually had three other children: Helene, Therese and Diana. Theresa was a full time homemaker. The children attended nearby St Michael’s elementary, but the family worshiped at Our Lady of Perpetual Help, which is part of the Eastern Rite of the Catholic Church. They subsequently attended this church for more than 50 years. As a homemaker, Theresa excelled in the kitchen and enjoyed great fame for fine Eastern European baked goods and other delicacies. Her life in Levittown centered around the family and the home and she took full advantage of the community’s convenient walk-able layout, which allowed residents easy access to shopping and recreation. She raised the family and found great pleasure in playing board games, watching BBC productions on TV and occasionally picking blueberries. After the children grew and left home and Dr. George retired, the couple began spending the winter months in Pompano Beach, Florida, where Theresa could swim and enjoy being outdoors, playing card games with neighbors around the pool deck. Their children frequently visited and delighted in seeing Mom and Pop enjoying their Golden Years. Sadly, Dr. George passed away in February 2013, but Theresa is survived by her daughters: Helene Sestito; Therese (Jeff) Schumacher of Bucks County and Diana Latzanich in NYC and George (LuAnn) who live near Atlanta GA, as well as, six grandchildren and three great-grandchildren, who each brought her great pride and joy. Her lasting quote to them was: Don’t be like everyone else, be different. In her memory, feel free to make a charitable donation to the Wounded Warrior project, or the community food bank of your choice. Come to her memorial service in Doylestown Pa, in a spirit of celebration for a life well lived dressed for a beautiful spring day.